Schedule your plug-in lamps, holiday lighting or small appliances to turn on/off from anywhere using a compatible Z-Wavecontroller. Installation is simple and requires no new wiring - simply plug in the device and enroll it to the hub. Features two-way status updating for immediate notification and precise automation scheduling. Reduce energy consumption, provide automated plug-load control based on schedules with a compatible hub, and utilize the wireless affordable plug-in for automating small appliances. Leviton Z-Wave products make it easy to bring today’s technology into your home. For wireless control of lamps, small appliances, holiday lighting and more, Z-Wave Plug-Ins are the smart solution for today’s lifestyle. The Plug-In Outlet with Z-Wave Plus Technology (DZPA1) is ideal for any residential setting where remote ON/OFF switching of appliances, motor loads up to 1/2 HP, or freestanding lights, including LED, Incandescent, Inductive Voltage, Fluorescent and Compact Fluorescent loads is needed. Typical applications include switching of lamps, portable fans, kitchen appliances, indoor fountains and more. Also allows users to incorporate small appliances into scene and zone home control applications. DZPA1 is for use with Z-Wave enabled hubs like the Samsung SmartThings, to help facilitate a comprehensive smart home. 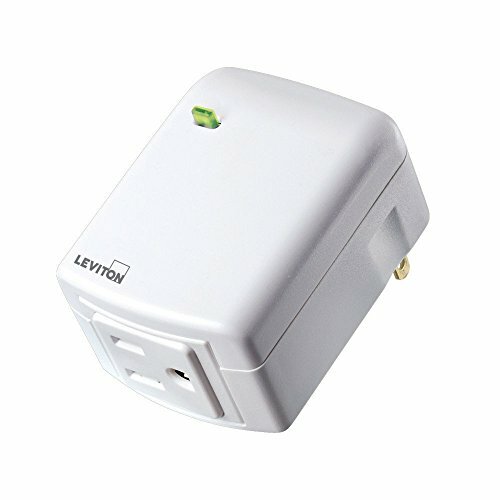 If you do not wish to use a hub but still desire voice controls and select third-party device integration, Leviton recommends the DW15A.